For it first of all rotate function is used. 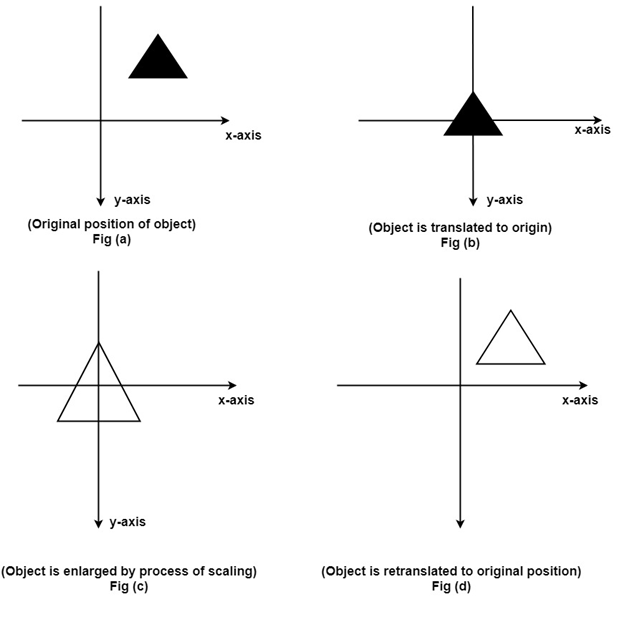 Sequences of steps are given below for rotating an object about origin. 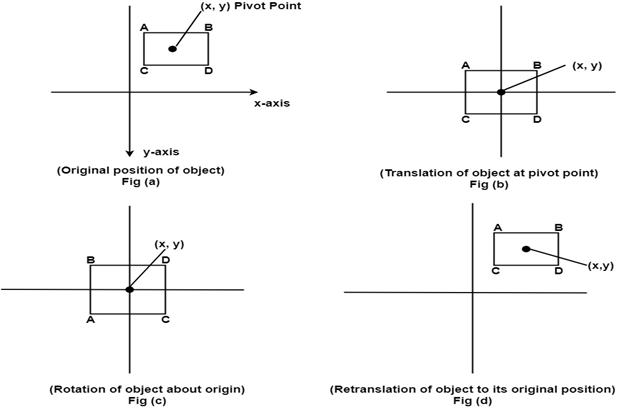 Rotate the object about the origin as shown in fig (c). Translate the object to its original position from origin. It is called as reverse translation as shown in fig (d). Step4: Again translation is done. This translation is called as reverse translation.